Hibernian beat Rangers to second place in the Scottish Championship with a convincing 3-0 win over Falkirk. The Edinburgh side knew they had to better Rangers' result against Hearts, and they made sure of claiming the runners-up spot thanks to goals from Martin Boyle, Jason Cummings and Dominique Malonga. They will now bid to return to the top flight via two less play-off games than they would have faced if they had finished third. 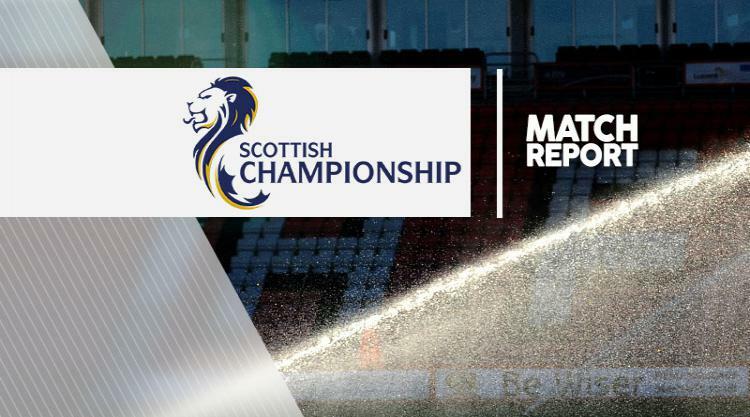 Hibs, who named an unchanged side following last week's win over Alloa, headed into the match knowing they faced a tough task against a Falkirk side who had proved to be their bogey team this season. The Leith men had failed to overcome the Bairns in four previous meetings - including a Scottish Cup semi-final exit. But they enjoyed the ideal start on this occasion, surging into the lead after just five minutes. Boyle did well to win the ball before exchanging a one-two with Scott Allan and then rifling low past goalkeeper Jamie MacDonald. At the other end, a superb cross from Craig Sibbald on the left flank found John Baird in front of goal but he was unable to keep his header on target. Sibbald then passed up a great chance himself when he saw his header flash inches past the post. Hibs had the chance to put their hosts under pressure when they won a free-kick just outside the box. Paul Hanlon stepped up for the set-piece and was not too far away with a curling effort that fell just over the crossbar. Hibs cranked up the heat further when Cummings' cut-back found Malonga six yards out but a timely block from David McCracken prevented him from hitting the target. The forward was denied again just a couple of minutes later, this time MacDonald racing off his line to block Malonga's angled drive. But the visitors had the net bulging again five minutes before the break. Allan's ball from the left picked out Cummings and he skipped past Peter Grant before rounding MacDonald and slotting into the empty net. Hibs were dealt a blow shortly after the restart when Jordon Forster landed awkwardly on his ankle and was forced out of the action and replaced by David Gray. Falkirk then had a chance to pull a goal back when they won a free-kick 20 yards out but Sibbald's effort failed to make it past the Hibs wall. The home side continued to press for a goal and substitute Scott Shepherd picked up a booking for diving after just three minutes on the park. The victory was put beyond doubt when Hibs claimed their third goal after 78 minutes. Cummings released Malonga through on goal with a terrific pass and the striker kept his cool to fire past MacDonald to seal the three points.